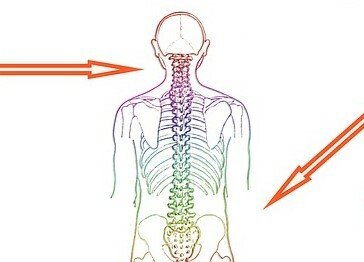 Spinal cord injuries are devastating events. In days following the accident, you and your loved ones may be overwhelmed by the grief caused by the tragedy and wondering where to turn. Spinal cord injuries present life-changing challenges, but you and your loved ones need to know that there is hope if you focus on how to move forward to a better place. After a spinal cord injury, a support network of trusted family, friends and medical professionals can help guide and counsel you through a treatment and rehabilitation program so you can achieve a maximum recovery. In addition, a spinal cord injury lawyer can also be helpful in offering advice and insight in ways that you may not fully be aware. Selecting the right spinal cord injury lawyer for your case is important. But before you hire a lawyer, it helps to understand the many ways an experienced spinal cord injury lawyer can offer support and guidance after an accident. Obviously, the primary service a spinal cord injury lawyer can offer is to assist you in obtaining financial compensation for your damages and injuries. If your injuries were caused by the negligence, recklessness or intentional conduct of a person or company, you have a legal right to seek compensation. A personal injury lawyer with experience in spinal cord injuries can ensure that your legal rights and claims are protected and guide you through the legal process. Ultimately, this lawyer will know how to build a case to prove the at-fault party was liable and seek compensation that can offset the massive medical costs that come with spinal cord injuries. There are strict deadlines that apply to personal injury cases, and these cases take time to develop and pursue. As a result, if you believe you may have a legal case, you should contact a spinal cord injury attorney as soon as possible to preserve your claim. Given the nature of their legal practice, spinal cord injury lawyers are particularly knowledgeable of the medical aspects of spinal cord injuries. Of course, a spinal cord injury lawyer is not a medical professional. However, he or she should have working knowledge of the injury types and treatment protocols as well as contacts and information regarding healthcare companies, professionals and resources. This can help your recovery go more smoothly. At the very least, your spinal cord injury lawyer will monitor your treatment and ensure that your legal rights and claim are protected while you are still treating. There is more to a spinal cord lawyer's role that just legal and medical knowledge. A good spinal cord injury lawyer will also listen, understand the difficulties you are facing, and be compassionate and caring. There are plenty of lawyers out there, but this skill may be the most rare. Those who are impacted by spinal cord injuries should consider a lawyer that offers more than just a business-like demeanor. You should look for an attorney who will both offer straightforward advice about your case and will also care for your emotional well-being in a very stressful and difficult time. A spinal cord injury lawyer can help spinal cord injury survivors by helping obtain a significant settlement, advocating for quality healthcare, and being a compassionate supporter. If you or a loved one suffered a spinal cord injury in an accident, please consider contacting an attorney soon. Our Kansas City spinal cord injury lawyer would be happy to speak with you and answer your questions for free and with no obligation to hire our law firm. Please call us at 816-203-0143 or fill out the form below.